4 Modern Lecture theatres fully Air conditioned with a seating capacity of 180 and internet & e learning facilities equipment fitted are in the academic block. 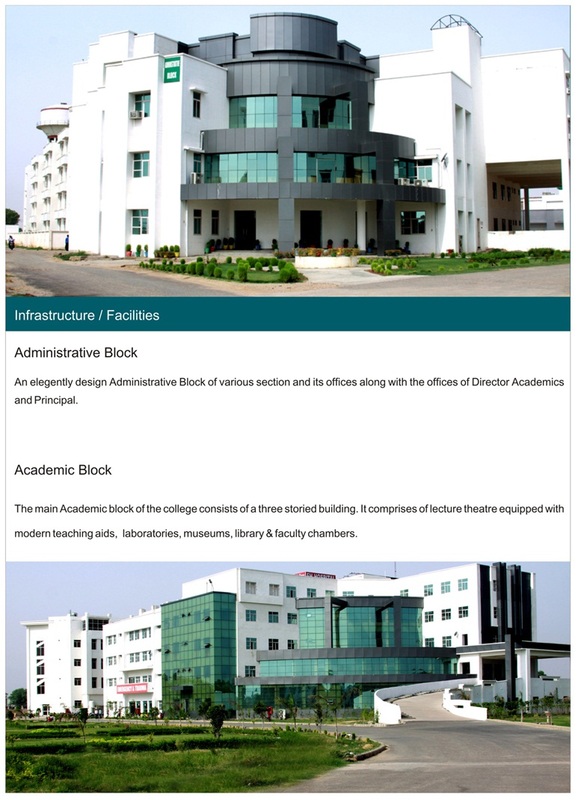 The main academic block of the college is a three storied building, comprising of Lecture Theater equipped with modern teaching aids, along with laboratory, museum, library and faculty chambers. The Block has been thoroughly structured enhancing structural strength, aesthetic beauty and better maintenance. Lecture Theatres are fully-equipped with ultramodern equipment as support teaching pedagogies; there are regular classes, seminars, and conferences and has at times played host to some very high profile events at the College. For conducting faculty meetings, presentations by external experts and year-wise departmental meetings. Accommodates around 180 members. A Good Public Address system is available on campus for seminars and presentations. The rooms has full audio-visual facilities and full wireless internet access used for conducting faculty meetings, presentations by external experts and year-wise departmental meetings. Central Library and 17 Departmental Libraries, which collectively support the teaching, research and extension programmes of the college. 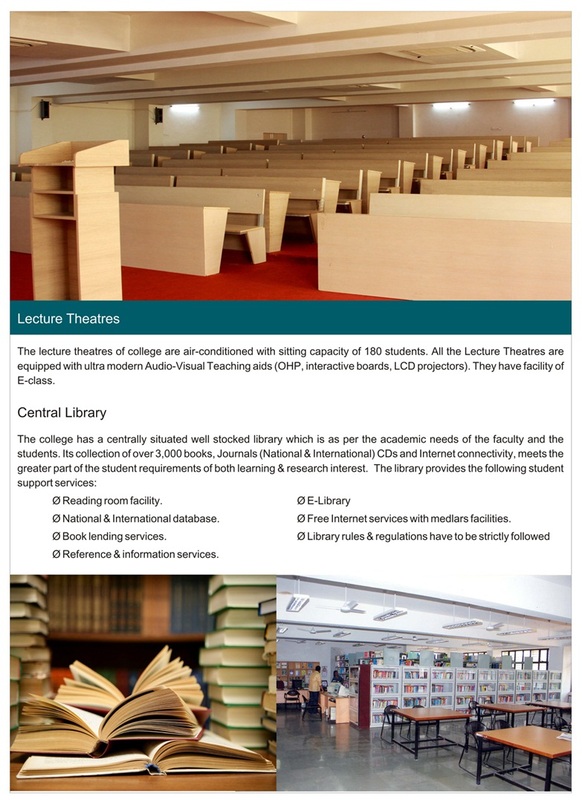 The Central Library is well equipped with modern facilities and resources in the form of books, journals, back volume of journals, theses, WHO publications, CD ROMs and internet services. The library strives to provide timely, accurate and current information, and to provide an appropriate and comfortable academic environment for the users. 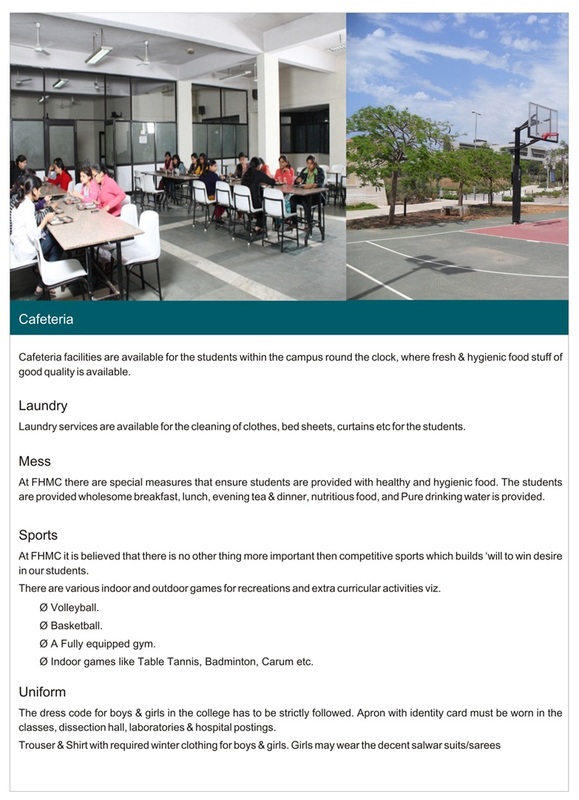 State-of-the-art air-conditioned cafeterias with modern catering facilities are available for staff and students inside the college campus. The food and snacks served in the cafeterias are freshly made and left overs are either disposed on the same day or disturbed among poor. The taste of the food is also delicious which doesn’t let the students feel home sick .A proper check is made on the hygiene and preparation of food at the cafeteria. The tables, chairs, floors and the place where the food is cooked are cleaned frequently and timely. The health of the students is very important for the management of the college and hence all the measures are taken to ensure the same. The mess for the hosteller remains open till the odd hours considering the lifestyle the students lead. 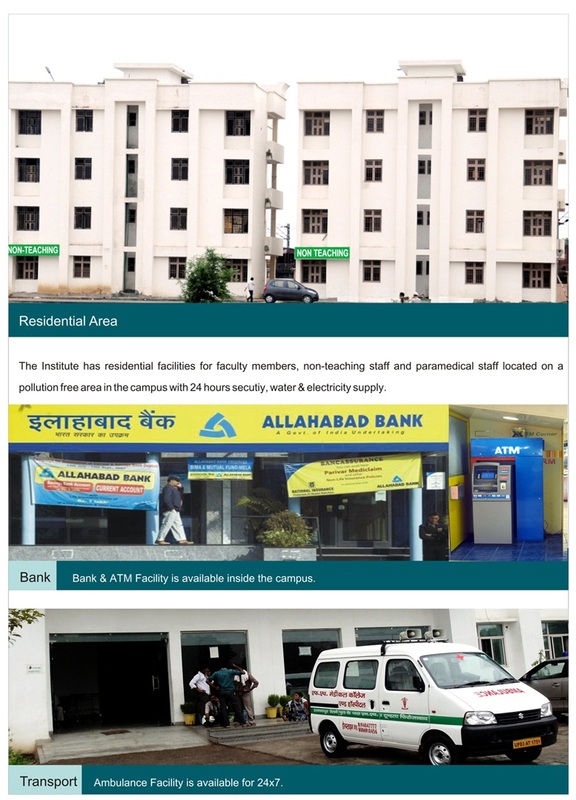 Bank and ATM facility is provided inside the college premises, to facilitate students and staff in money matters. FHMC has well-furnished air-conditioned hostel accommodation to accommodate 450 students separately for boys and girls. Staying in the hostel is compulsory for all students. Hostel rooms are well built and spacious and are available on a twin – sharing basis. Each room is provided with two beds, two wardrobes, two study tables and a chair for each student. Water purifiers and water coolers are provided for potable water.